I managed to find some motivation to whip up a beauty post for you guys this week, third trimester has really got me feeling so damn sleepy! 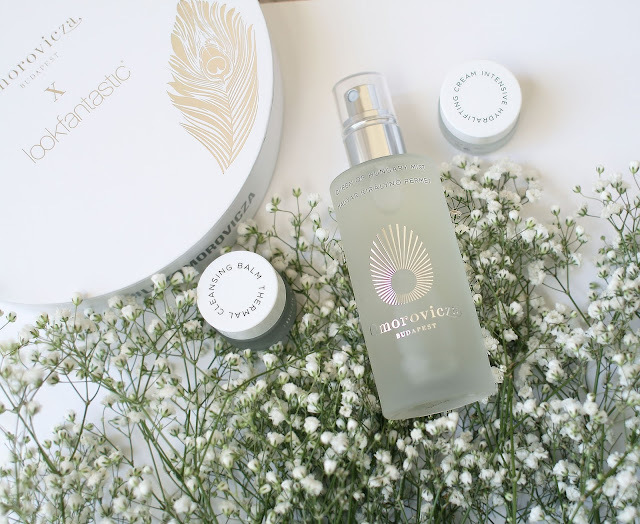 However I got pretty excited when this luxury beauty box arrived on my doorstep and it instantly perked up my mood and sleepiness subsided for a while at least. Omorovicza is a luxury brand that has been on my radar for a while now and I have been desperate to try some of their beauty line, but that price tag held me back. 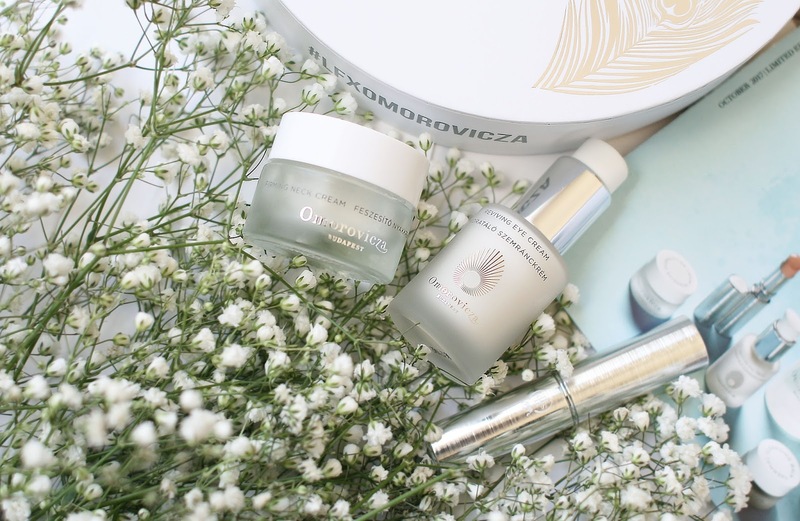 This is one of the main reasons I think beauty box collaborations work so well because you get to try out a full range of products from a luxury brand for an amazing price, its a win win situation! 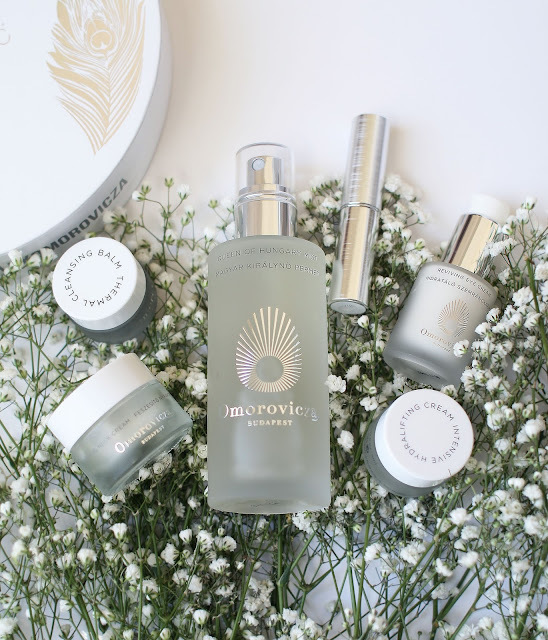 Budapest has been renowned for its healing waters since the Roman times, founders Stephen and Margaret de Heinrich de Omorovicza were amazed by how the mineral rich spa waters had such great effects on their skin that they enlisted a skilled Nobel Prize-winning dermatology lab to incorporate the ingredients into a skincare range. 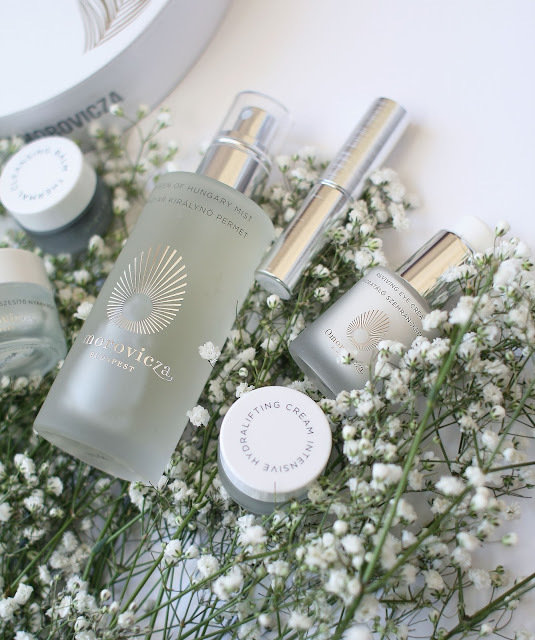 Omorovicza have acquired a cult following worldwide since for their anti-ageing products! Which product has caught your eye the most? For me its the cleansing balm and the mist!